When we talk about the number of dengue, malaria, tuberculosis, MERS, or avian flu cases - or of any other disease - the understanding is that the numbers we have are almost certainly incomplete, and nearly always a major under count. 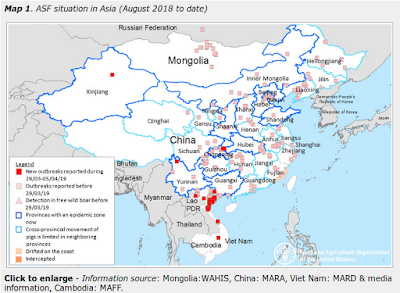 As an example, during the first wave of H7N9 in China in the spring of 2013, 133 cases were identified by Chinese authorities, but estimates (see Lancet: Clinical Severity Of Human H7N9 Infection) ranged from 12 to 200 times that number. Our estimate that between 1500 and 27 000 symptomatic infections with avian influenza A H7N9 virus might have occurred as of May 28, 2013, is much larger than the number of laboratory-confirmed cases. Similarly, in CID Journal: Estimates Of Human Infection From H3N2v (Jul 2011-Apr 2012), during a time when only 13 cases were registered by the CDC, researchers estimated there were as many as 2055 (90% range, 1187–3800) illnesses from H3N2v virus infections. Saudi Arabia has reported 1280 MERS infections to date, yet a seroprevalence study published last April in the Lancet (see Presence of Middle East respiratory syndrome coronavirus antibodies in Saudi Arabia: a nationwide, cross-sectional, serological study by Drosten & Memish et al., projected 44 951 (95% CI 26 971–71 922) individuals older than 15 years might be seropositive for MERS-CoV in Saudi Arabia. The list goes on. For every West Nile infection reported in the United States there are likely 100 that go unreported. And this is true for one of the most advanced public health systems in the world. Imagine the disease data `gap' from countries where surveillance and reporting capabilities are far less robust or where the political will to report these types of findings is lacking. For many countries there is little `up side' to reporting diseases like MERS or avian flu, and so they simply look the other way. The lack of reported MERS cases in sub-Saharan Africa, or relatively low numbers of human cases in bird flu endemic regions, yields far less reassurance when you consider those factors. All of which brings us to a new report in the EID journal that takes retrospective look at the testing and diagnosis of suspected dengue cases in Brazil (where reporting is mandatory) over a 2 year period - and finds that even among those hospitalized and tested - the number of cases is badly under reported. You can read the methods, materials, and math below, but the bottom line is they found that official counts likely captures less than 10% of the actual number of cases. Since this study period, two new mosquito-borne viruses - Chikungunya and Zika - have been introduced into the region, have already likely produced millions of additional illnesses, and will further complicate the process of diagnosis and treatment going forward. To the Editor: Dengue is an underreported disease globally. In 2010, the World Health Organization recorded 2.2 million dengue cases (1), but models projected that the number of symptomatic dengue cases might have been as high as 96 million (2). Brazil reports more cases of dengue than any other country (1); however, the degree of dengue underreporting in Brazil is unknown. We conducted a study to evaluate dengue underreporting by Brazil’s Notifiable Diseases Information System (Sistema de Informação de Agravos de Notificação [SINAN]). From January 1, 2009, through December 31, 2011, we performed enhanced surveillance for acute febrile illness (AFI) in a public emergency unit in Salvador, Brazil. The surveillance team enrolled outpatients >5 years of age with measured (>37.8°C) or reported fever. Patients or their legal guardians provided written consent. The study was approved by the Oswaldo Cruz Foundation Ethics Committee, Brazil’s National Council for Ethics in Research, and the Yale Institutional Review Board. We estimated that overall, there were 12 dengue cases per reported case in the community, but in months of low dengue transmission, this ratio was >17:1 (Table). Comparable results have been observed in Nicaragua, Thailand, and Cambodia (6–8). By applying the estimated multiplication factor to the study period’s mean annual incidence of 303.8 reported dengue cases/100,000 Salvador residents (9), we estimated that the actual mean annual dengue incidence for Salvador was 3,645.7 cases/100,000 residents. We showed that dengue surveillance substantially underestimated disease burden in Brazil, especially in what are considered low-transmission periods. Dengue underreporting has been attributed to passive case detection, which fails to identify persons with dengue who do not seek health care (1). We also showed that surveillance failed to detect dengue cases among symptomatic patients seeking health care. Novel surveillance tools, such as active syndromic surveillance and point-of-care testing, should be applied to improve estimates of dengue incidence. Furthermore, given the recent emergence of chikungunya and Zika virus in Brazil (10), improved surveillance and laboratory diagnostics are needed to avert misclassification and mismanagement of cases.